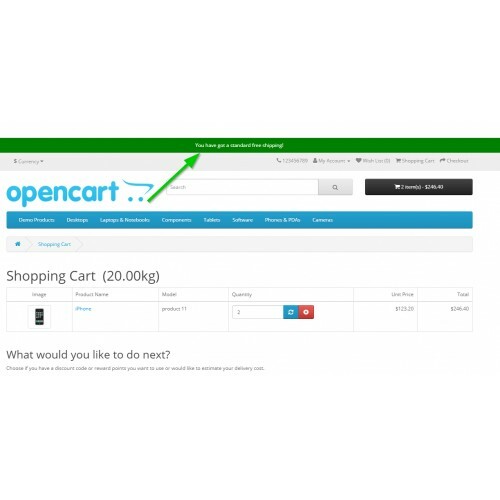 inspire customers to spend more money and get a free shipping on the current cart content. 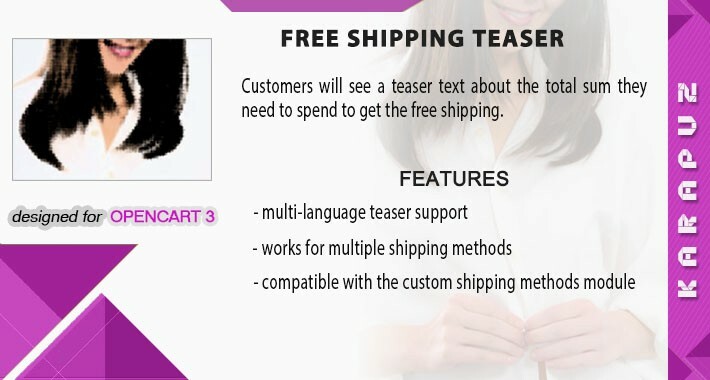 Teasers in multiple languages are supported. 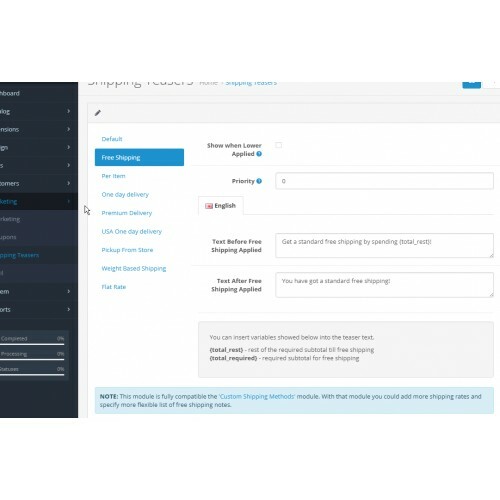 It can also show free shipping information from the 'Custom Shipping Methods' module when it is installed.